Having produced songs that have successfully impacted the local and international reggae music industry and worked with established reggae artistes such as Lutan Fyah, Mr. Perfect, Esco Levy, Teflon, Bugle, Ras Ghandi among other over the years, Sikona 'Mr Biggs' Blagrove, C.E.O. at Big Dreams Productions has hope for further development of his label in the near future and is now ready to officially announce its coming out in Jamaica. Big Dreams Productions is a project that has been set in motion for sometime by Clarendon born DJ/Producer known as Fadda Biggs or Mr. Biggs. The company is a registered label at RSP Tunes, 227 Weir St., Hempstead New York that also carry out studio functions at Big Links in Kingston, Jamaica by Engineer/Artiste Karl Morrison the producer of Busy Signal's remixed version of the Commodores 1982 title track from the Motown album of the same name, 'Night Shift' which paid tribute to late soul singers Marvin Gaye and Jackie Wilson. Other studio Engineers at Big Dreams Productions includes Carnal Brisco, Avril Ashley, Rich Daley, Sergio and Jeff Deer who have composed rhythms such as Water Melon, Irish Sprin, Dreams and Magnet & Steal. Currently assigned to the label are artistes Karl Morrison, Ra Deal, Pedro and Dezi. The main objective for these artistes is to help broaden their voices through innovative and creative ways with today's technology and resources and find ways to connect them effectively and efficiently with reggae audiences across the world. 'We are on a mission, our aim is to develop in a major way, creating more opportunities and options for Reggae artistes in Jamaica" said Fadda Biggs. This feat he hope to achieve by partnering with RSP Tunes,"Members of RSP Tunes are experienced A and R, whose role, although changed in today's industry, is critical to what we want to achieve" he continued. 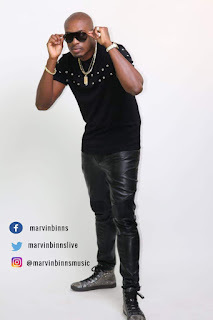 Artist and Repertoire are traditionally that individual who would match up recording artists with songwriters, pick songs that would suit the artiste and pick artistes that would score hits for songwriters. Over the years their role has changed, and while they may still suggest songwriters and producers for artistes to work with their main job in acting as the point of contact between the artiste, and their management, and the rest of the label infrastructure. "This is what they will actually bring to the table partnering with Big Dreams Production," said Mr. Biggs, "their knowledge and experience." With only one major label catering to reggae, the attempt of Big Dreams Productions to develop it's label in a major way will take time. However, Sikona Blagrove is adamant that he has the time and will remain focus until Big Dreams Productions is no longer a dream. "every generation has an artiste that defines it, Bob Marley in the 70s, Shaggy and Sean Paul in the 90s and 2oth century....."
He is the son of one Reggae's founding fathers, Big Youth, an artiste whose musical interest was first highly influenced by the American Hip-Hop genre, producer and songwriter. His parents named him Zambo Buchanan but musically he is known as, "Tafari." When Tafari, his brother, sister and friend decided to do music, they started out as a group and called themselves Thug Hype. They loved the rap game and wanted so badly to be in it and why not, their dad Manley 'BigYouth' or 'Jah Youth' Buchanan is not only a veteran of Reggae music but one of, the first Jamaican artiste whose 'toasting skills' made him popular in the 1970s, a style that would subsequently be referred to as 'Deejay' and claimed to have been the foundation from which Hip-Hop music was formed. Big Youth was quoted as saying, "Deejays were the closest to the people because there wasn't any kind of establishment control on the sound systems." Hip-Hop started in the 1970s in areas of Brooklyn and Bronx that were said to be extremely poor hence the genre grew out of scene of street parties with MCs and DJs. Many people have been said to attribute Hip-Hop's biggest influence to be the musical sounds of Jamaica from as early as the 1940s. This influence is demonstrated by the fact that a DJ called Kool Herc was one of the first DJ's and he was a Jamaican immigrant. Tupac was Tafari's favorite artiste, he grew up listening to Pac and as he got older would even rap like him, hence it came as no surprise, at least to those who knew him well, when Tafari went solo, sounding like a reincarnated Tupac. 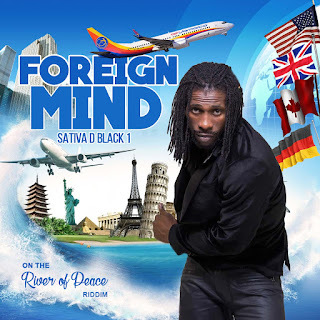 Tafari armed with recordings and collaborations with some of Reggae and Dancehall's finest, Buju Banton, Lady Saw, Bounty Killer, Cecile and Beenie Man's music, laced with the sounds of reggae and fused with Hip-Hop, headed to New York in search of a record deal. It was a learning experience, he was told that his riddims were weak, he sounded too much like Pac and many A&R who heard him were clearly unimpressed, Tafari was defeated but hopeful. Back to Jamaica, Tafari hit the studio he continued recording, released a few tracks, shot a number of videos release on youtube and promoted his music. He was successful at garnering airtime on several radio stations across Jamaica, access visibility on local television and cable channels as well made publications in local newspaper and magazines. In a bid to better understand how the system of the music industry in general operated, Tafari has been lead in the path of icons and legends. He engaged the Marleys, Chris Blackwell, Shaggy, Sean Paul as well as the man behind the only label that now shoulder the weight of reggae music, Mr. Chris Chin at VP Records among many other important industry, corporate and government representatives and what Tafari has come to accept as logical is, "Bob Marley is GREAT but Sean Paul and Shaggy are my Bob Marley's of this generation." What lead an artiste, possibly on the verge of reaching the stars to have this perception about a genre which is said to have a global appeal for the music of Bob Marley? Well according to Tafari, "every generation has an artiste that defines it, Bob Marley in the 70s, Shaggy and Sean Paul in the 90s and 2oth century" he said, "their music have surpassed normal and their success astounding, boundaries broken." This fact should have been more emphasized in order to break a cycle he said and importantly used to, "encourage and motivate a younger generation of artistes to strive for global recognition. In other words, pass on the baton" he said. Further along, Tafari accepts that there is no disputing the legendary Bob Marley's greatness and influence on Jamaica and Jamaica's music today but firmly believes that it must not continue to be a case where this great and legendary icon's music overshadows the greatness of other artistes that follows him. "Let us look at the influence of President Obama becoming the first Black President of the United States of America. This has brought hope to many urban black youth. It is highly influential and motivating for those who taught drugs and crime was a sure way out of the hood. This is what reggae music needs." Now there are artistes that have gone ahead some will debate, who have missed out on a lifetime chance of global recognition. However, Tafari's argument is not about who could have been but who is, "I might not remember the names but there are several who suffer at the general perception that our legend's music is and will always represent the best of Reggae but both Sean Paul and Shaggy's music have proven greatness in sales and market reached" he said. Tafari released several tracks, some he might have regretted having now learned how to better express his emotion in song. But he like many others, had to first understand how the industry and the market that supports it, function. 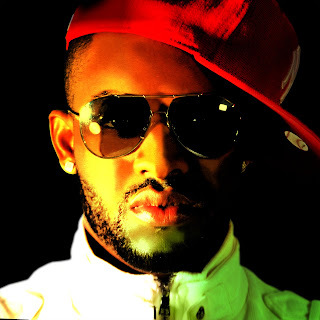 In 2011, Tafari released a single entitled, 'Money In My Pocket' and a remix in 2013 featuring Beenie Man and Big Youth. 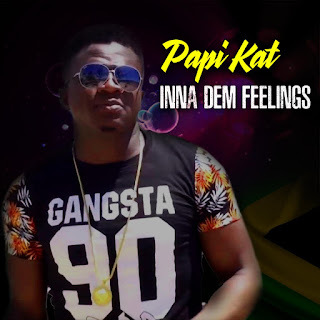 Since, 'Money In My Pocket' has been creeping, now sitting on itunes Top 50 reggae songs chart, distributed by VP Records and receiving airplay on several internet and US based radio stations. Tafari's confidence has been boosted and his aim is to further penetrate these stations until his music reaches new heights. Tafari said his knowledge of the industry has helped him push his music through the relevant channels as he grow and improve.